Is an Online Painting Class for You? I've been disappointed by the last couple of painting workshops I've taken, and it wasn't because I didn't like the instructors, but because there were just too many students in the class. The result was usually lengthy demos, which could be hard to see, and little individual time with the instructor. Add to that the cost of going to an "away" workshop, and I understand the growing popularity of online painting instruction. I've taken a few of these classes, some were excellent, and others not so much. Why is that? I think it largely depends on how the course is structured. There are several types of class depending on whether there is instructor interaction, and whether you can do the course at your own pace. Obviously the former is desirable, but it also greatly impacts the cost, which is only fair. I've found that the kind of instructor interaction and doing the course at your own pace can complicate things. I'm going to talk about just a few examples here, but there are many online painting classes available. I hope these descriptions will help you to choose wisely if you want to try one. 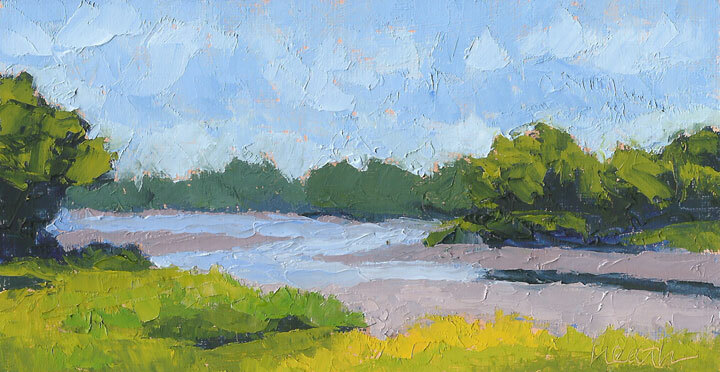 Leslie Saeta offers a set of classes on how to paint with a palette knife. Each class is organized around a painting, and Leslie takes you through the process of recreating that painting. The classes consist of 10-18 videos. Each class is $35, and you have access to the ones you buy indefinitely. It's a great way to learn how to use a knife. This approach has no instructor interaction beyond the videos, you can do it at any time, and take as long as you want. Since the class covers only one painting, it's pretty easy to work your way through one of these. And then there's the option to do it again when you need a refresher, or to try out another one of Leslie's painting examples for the very reasonable price. The lack of instructor feedback or comments from your fellow students doesn't bother me for this price. For me, this is a clean, well organized approach to an online painting class. Deborah Paris' Landscape Atelier offers online classes in numerous aspects of landscape painting. 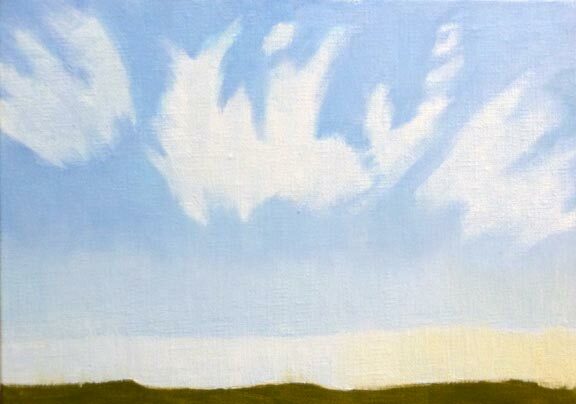 I took her Painted Sky class a few years ago and it was excellent. It included an introduction to several historical painters and their approaches, homework assignments with video demonstrations, and feedback on the homework. The homework paintings were done, uploaded, and commented on by Deborah on a schedule, using a class blog. This worked well for me. I also learned a lot from the other student's questions and their work. This was effective because everyone was working on the same lesson at the same time. The individual classes run for six weeks and are $250, with bundles of related classes offered at a discount. Access to the class videos is available for a year. In my opinion this is a very effective way to take an online class. I was able to stay on the schedule, finished the course and learned a lot. As bandwidth has increased, instructors have begun teaching classes that include live interaction via a Facebook group. The interaction is often delivered as a weekly Q and A session and is recorded and posted for students who can't meet at the scheduled time. 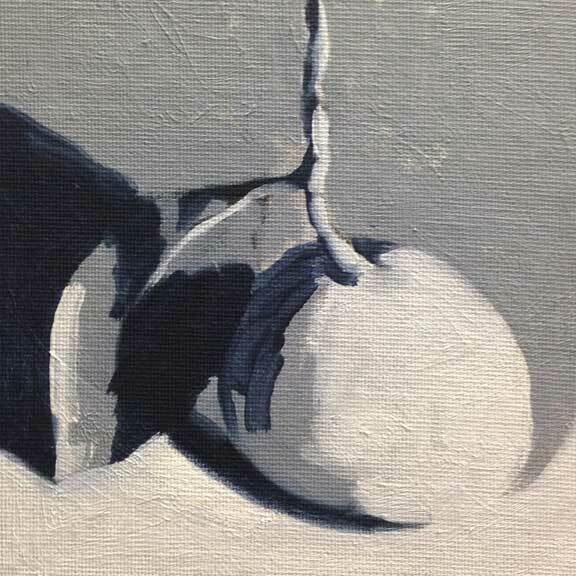 Costs start at a few hundred dollars for a class that targets a particular facet of painting. Some classes delivered with this approach teach a complete method and have a large time commitment with a commensurate cost ($1,000-2,000). Most offer a year of access, followed by additional years at a reduced rate. These could be characterized as an online atelier, with students working with an instructor over a multi-year period. I follow several instructors who teach these, but haven't yet taken one myself. At the high price, the competition is a live workshop, which could work for me, if the class size is limited. And finally a caution. When instructors use the third approach and repurpose the material for subsequent class sessions, there can be problems. Repurposing the video content is fine, the instructor interaction is the issue. If, as in Deborah Paris' case, a new blog is created for each session of the class, everything works well, all the students are working on the same time line, and the instructor is giving feedback on one lesson at a time. But when students can start the class at any time after the first time the class is run, and there are no live Question and Answer sessions, it gets very lonely. It can be hard to sift through the past classes' comments to find out how they approached an assignment, and you won't have any interaction with those students, since they're long gone. Finally, watching a Q and A from a class that was given months or years ago, where you can't ask your own questions, is pretty unsatisfying. It's like eating leftovers by yourself instead of going to the dinner party! If you are considering an online class that the instructor offers regularly, my suggestion is to make sure you know how you'll be able to ask questions and receive feedback and whether there will be other students taking the class with you. As to whether you'll do the work if you're allowed to work at your own pace, only you can answer that!